Sinopé Technologies is a one-stop shop for your floor heating thermostats. Select amongst our selection of smart thermostats or go for a non-programmable one according to your needs. Devices that are designed with the consumer in mind and whose use is disarmingly simple. The smart home has never been that accessible. All of Sinopé Technologies’ floor thermostats are equipped with a second output that allows the control of an auxiliary heating or to connect up to 10 expansion units for when the system exceeds 15 A. 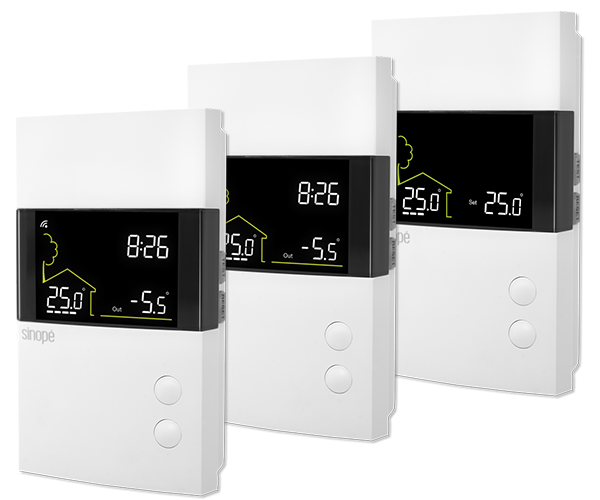 Remotely control your Sinopé floor heating thermostats with the management platform that suits your needs, based on the model you choose. Whether it’s for your home or your cottage, to cover your absences or ensure a pleasant return: choose to control your comfort, regardless of the situation. 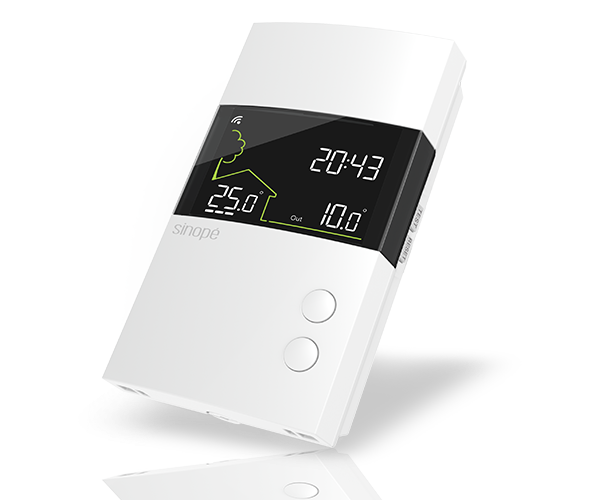 Enjoy the benefits of the smart home with the many features of the Sinopé floor heating thermostats.